My research lately has been wandering a bit from the Civil War to the antebellum period. Last fall I gave a series of lectures on the history of antislavery. This winter it will be Transcendentalism. The 1830s might just be, for me at least, the most fascinating decade in American history. A decade in which so many great minds seemed to, almost simultaneously, awake. A score of great reform movements, the effects of which we are still feeling today, were conceived and through tremendous effort raised to national prominence. Such efforts were often met with adversity, violence, and therefore required great courage. As I read about the great writers and reformers of this era…William Lloyd Garrison, Elizabeth Cady Stanton, Horace Mann, Ralph Waldo Emerson (the list could be a mile long)…I tend to contemplate their transformative moments. Is it possible to pinpoint a moment in the careers of these great figures when the path of their extraordinary lives became clear? Their moment of calling, so to speak. I’ve spent much of this weekend reading Emerson. It brings to mind the quote from the film Glory and Robert Gould Shaw writing, “Mother…thank you for sending my volume of Emerson. His words ring home to me like truth.” Reading Emerson does indeed feel for me, as well, like reading truth. 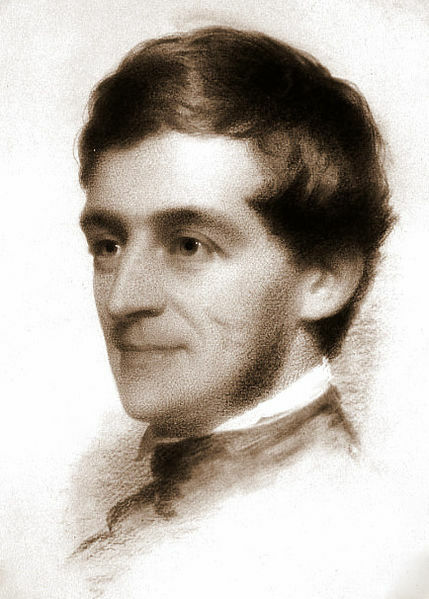 1832-1833 was a pivotal year for Emerson. Thirty years old, relatively unknown, disillusioned with his fledgling career as a minister and mourning the death of his wife, he was struggling. He came from a line of ministers and by all reason ought to have stuck with that profession. His father had been a successful Unitarian minister in Boston. His grandfather had been pastor in Concord, chaplain for the Massachusetts Provincial Congress, and had preached before the minutemen at the very dawn of the Revolution. Simultaneously, and probably related, his grief over his wife Ellen had plunged him into a severe depression. He visited her grave daily and one day in 1832 he wrote in his journal, “I visited Ellen’s tomb and opened the coffin.” Emerson also suffered from poor health at this time and illnesses that had caused severe loss of weight. Friends and family worried for the young man. Realizing that he needed to find a new course, Emerson made the decision to take a tour of Europe and departed on Christmas Day, 1832. During the voyage, his ailments lifted. And one day after a storm had subsided, he stood on the deck of the ship, examined the dissipating clouds touched with sunlight and had a revelation. The clouds, the wind, the seagulls. These were subjects more worthy of study than scripture itself. In nature could be found true divinity. His tour of Italy, Switzerland, France, England and Scotland had a profound effect on Emerson. Of particular importance was his meeting with philosopher and writer Thomas Carlyle in Scotland. The two would have a lifelong friendship. But Emerson would point to an episode in Paris as having the strongest impact on him. On the voyage back to Boston, he turned his mind to the tabula rasa that awaited him. “I wish I knew where and how I ought to live.” But the question had, in large part, already been settled in his mind. Although he would not utterly abandon the ministry (he still served as an itinerant minister for a time to help pay his bills) he realized that the life of a lecturer and writer was the answer. From the lectern, and not the pulpit, he could freely discuss his ideas and beliefs. He would become a man of letters. The Boston Masonic Temple which once stood on the corner of Tremont Street and Temple Place, looking upon Boston Common. 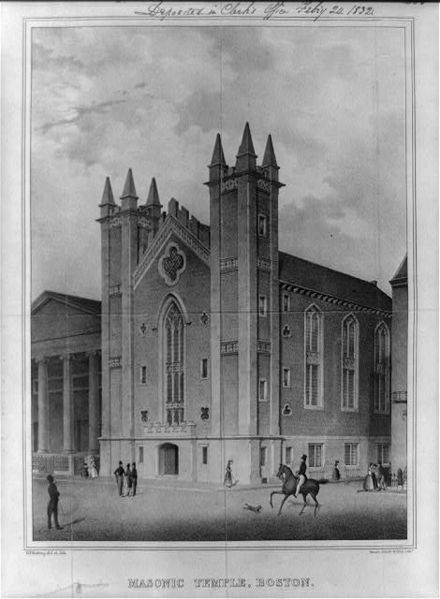 The first lecture he gave after making this momentous decision took place on November 5, 1833 for the Boston Natural History Society at the Masonic Temple in Boston. It might be ahistorical to over-inflate one moment in a historical figure’s life. However, I believe that when Emerson rose and took that lectern, his future as the leader of the American Renaissance was cemented. He spoke on “The Uses of Natural History,” sharing with his audience at length his impressions of the Jardin des Plantes and the effect it had on him. Much of the lecture is a tad dry, relating the history of the study of the natural world. But Emerson’s inspiration shows through as he describes what might be simple landscapes to one man, but are, to the inspired, actually divine works of God. These ideas would be refined, perfected and published in his first book, Nature, in 1836, which is often regarded as the foundation of American Transcendentalism. Maurice York and Rick Spaulding, Ralph Waldo Emerson: The Infinitude of the Private Man, (2008), p. 59. Wilson Sullivan, New England Men of Letters, (1972), p. 6. York and Spaulding, p. 55. York and Spaulding, p. 63. Robert D. Richardson, Emerson: The Mind on Fire, (1995), p. 138.
 ed. Ronald Bosco and Joel Myerson, The Selected Lectures of Ralph Waldo Emerson, (2005), p. 1. Ralph Waldo Emerson, ed. Bosco and Myerson, p. 4-5.